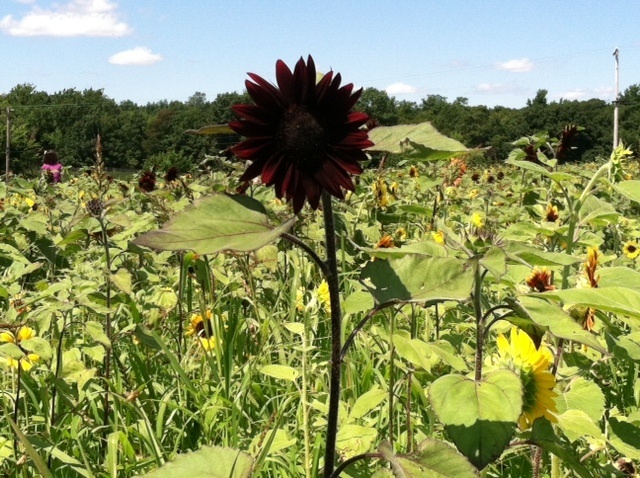 On Sunday, I walked among a field of sunflowers. And yes, to sound like a dork, it was “a-maze-ing.” I’ll also add that it’s definitely worth paying a visit to Lyman Orchards, a 1,100-acre farm in Central Connecticut, this month. 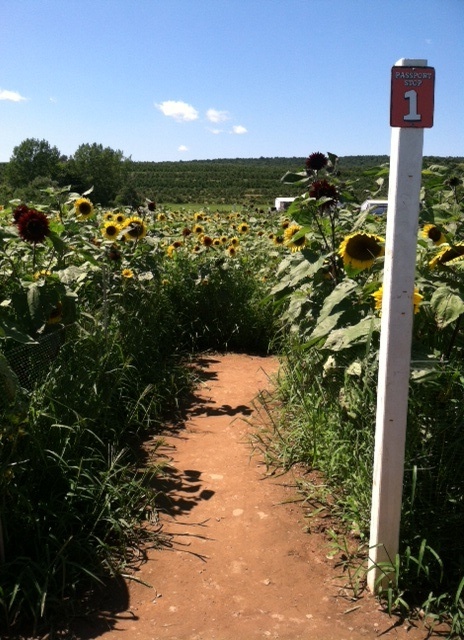 At this farm in Middlefield, an absolutely beautiful sunflower maze is open for exploring now through Sunday, August 25. 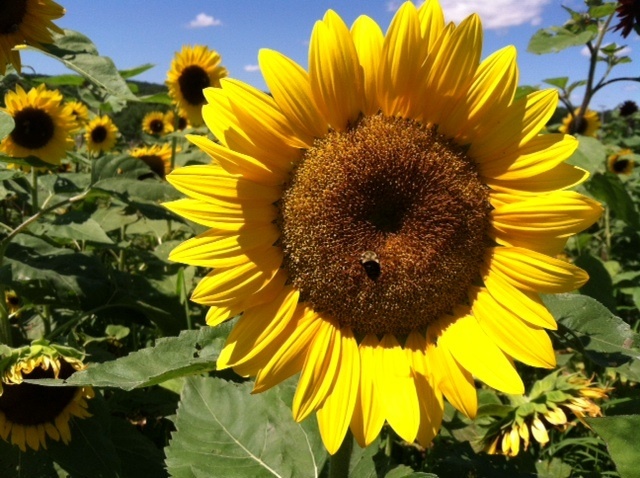 More than 300,000 sunflowers make up this two-mile maze. Before heading in, go up on an observation deck first to get a nice overview. 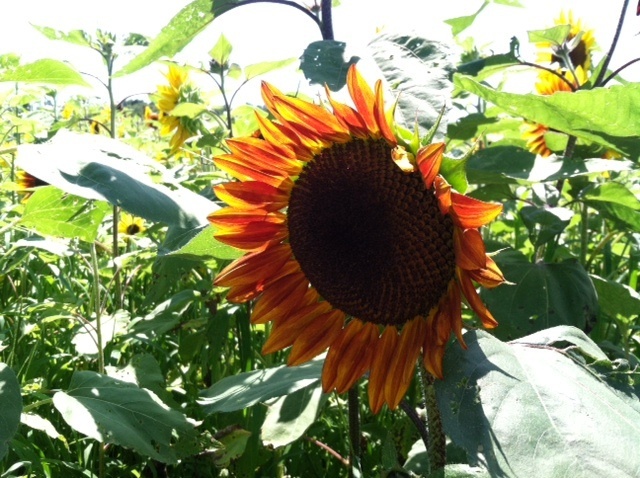 Then as you are walking through the maze, keep an eye out for shades that go beyond the typical sunflower yellow. My friend and I spotted a few reds and oranges, and even darker tinted ones like a rich purple or even black. The size of some of the flower heads were close to matching dinner plates, and, due to weight, a few were bent over a little bit. We even spotted one or two little ones still waiting to bloom. The maze’s path is pretty simple, and there are a few place markers but finding your way isn’t too bad. There is an admission fee of $10, with $1 going to the Connecticut Children’s Medical Center. 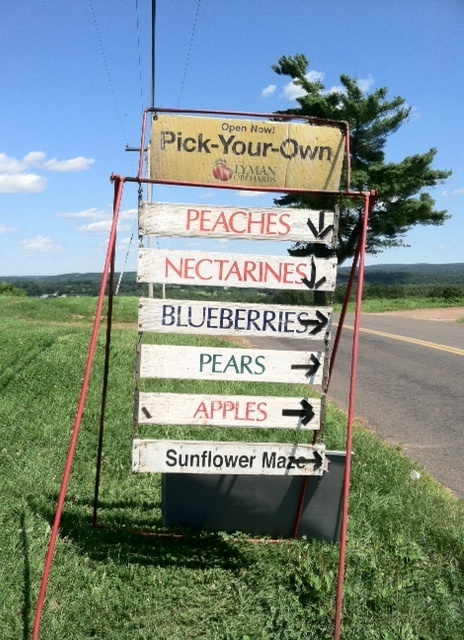 And while you are at Lyman Orchards, take advantage of the opportunity to do some picking. The orchard here is quite impressive, as almost 100 different types of fruits are grown from June through October. In keeping with what’s in season, right now your picking options include blueberries, pears and peaches, and pretty soon, apples. 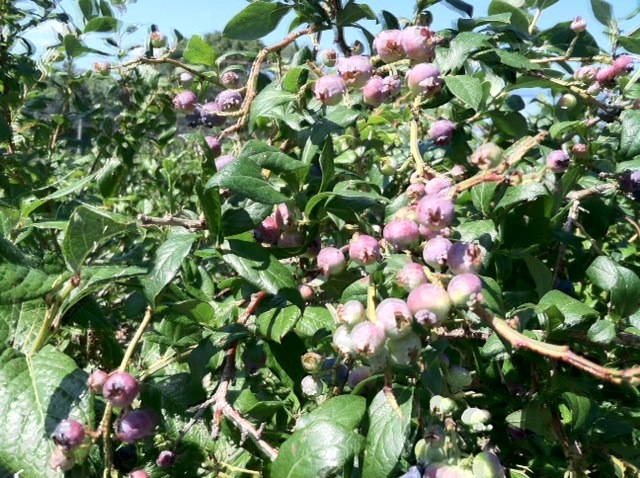 I haven’t gone picking before, so I grabbed a container and headed for the blueberry bushes. After digging and going around nets (and having my friend tug me free from one thanks to my pants getting caught), I got a handful of berries to bring home. If farming isn’t really your thing, and maybe golf is instead, there is a golf course down the road. Also owned by Lyman Orchards, Lyman Orchards Golf has three different style courses. 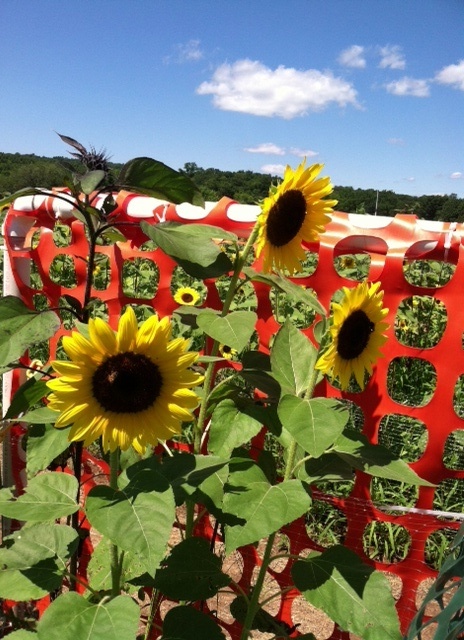 And if you miss out on the Sunflower Maze, there will be a corn maze set to open August 31 and run through November 3. For getting to the orchard, at 3 Lyman Road, I suggest taking Merritt Parkway to CT-66 E but you can also go on I-95 to pick up I-91. 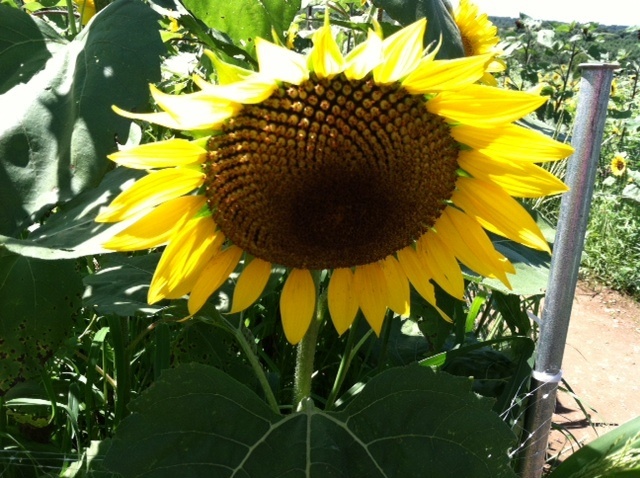 This entry was posted in Attractions, Connecticut, Farms, Middlefield, United States and tagged Connecticut, farms in Connecticut, Lyman Orchards, Lyman Orchards Golf, Orchards in Connecticut, sunflower mazes, sunflower mazes in Connecticut, things to do in Middlefield on August 13, 2013 by She Is Going Places.